We are demonstrating the use of decorator pattern via following example in which we will decorate a shape with some color without alter shape class. We're going to create a Shape interface and concrete classes implementing the Shape interface. 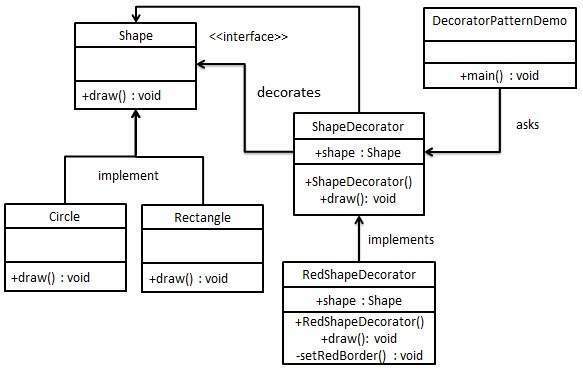 We will then create an abstract decorator class ShapeDecorator implementing the Shape interface and having Shape object as its instance variable.